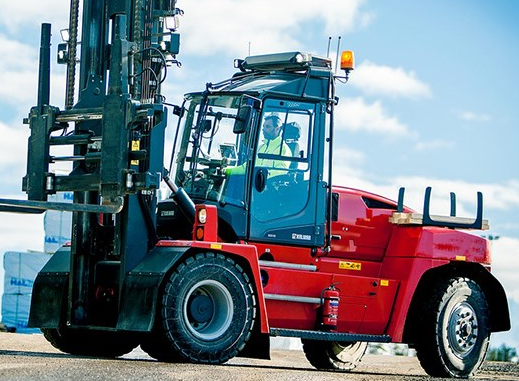 The Kalmar DCG90–180 forklift truck is designed to offer you the best possible return on investment over its entire lifespan. Ideal for demanding applications such as steel and wood handling, this next-generation forklift combines low fuel consumption and superior lifting performance with easy maintenance and excellent reliability. The advanced engine provides maximum power and torque at low rpm, which means improved fuel efficiency without compromising reliability, durability or performance. The new variable hydraulic system and modern lifting equipment can reduce fuel consumption by up to 18% compared to its predecessor, the DCE90-180. The modern electric and hydraulic systems ensure fast response and better control. New variable hydraulic pumps increase productivity by enabling faster lifting speeds. An optional reversible cooling fan keeps the radiator clean from potentially harmful dust, dirt or particles. A perfect option for Saw mills or other dusty environments. The electrical cabinet is easy to access for maintenance, and all hydraulic oil filters can be accessed from a single location. Tilting the cabin and opening the engine cover exposes the entire power train, and all checkpoints for daily inspection are easily accessible at ground level. DCG90-180 can be offered with a 180 degrees turnable driving seat. 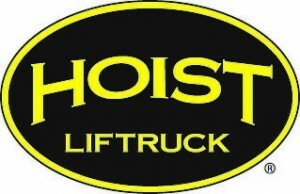 A perfect option for safe operations when handling bulky goods. The DCG90–180 features a fast, intelligent and stable electronics system that is reliable and easy to maintain. It has fewer connection points and cables compared to older systems and features a distributed and redundant CAN bus that monitors the condition and performance of the engine, control units, gearbox, valves and more.